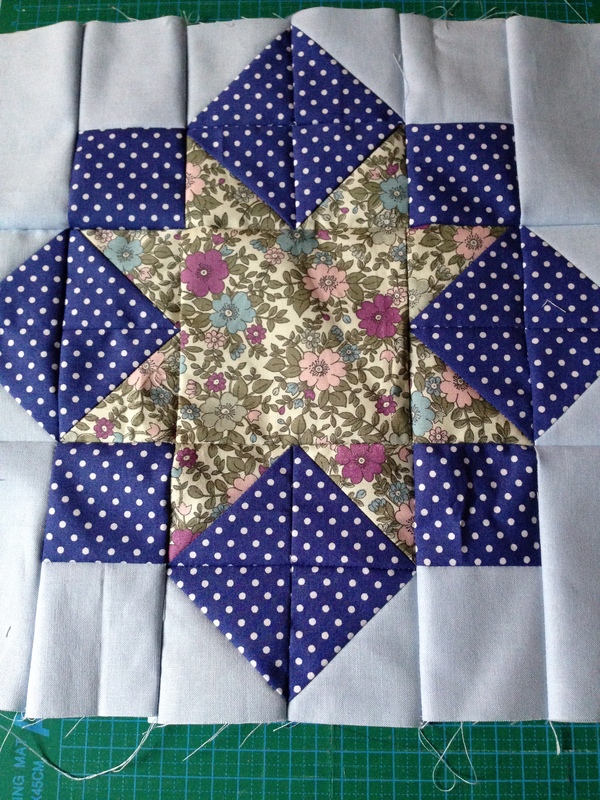 I had decided to follow a sew along this year, a patchwork one that would help me improve on my skills and learn new things and after a great amount of searching the net I settled on Pat Sloan’s sew along. It is a mystery BOM (block of the month) and I have completed January! Just look at this beauty, she may not be perfect but I was so pleased with it. 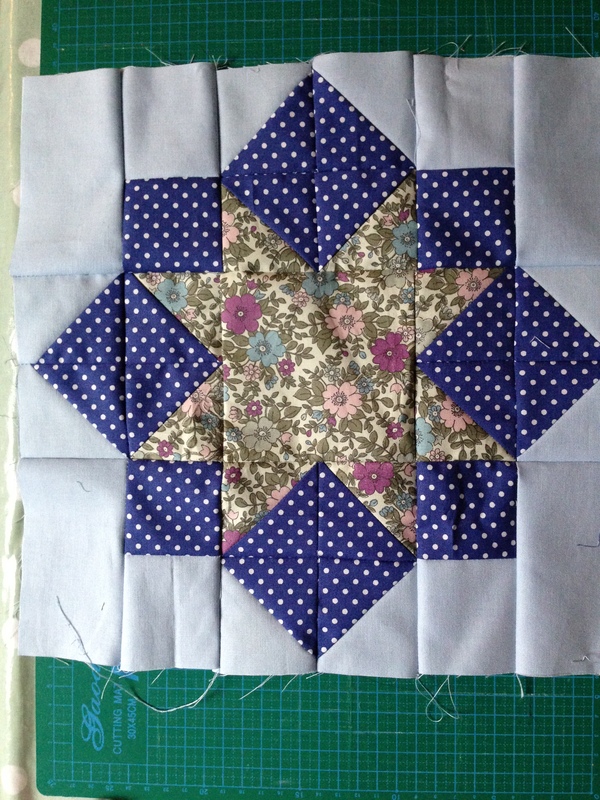 I learnt HST (Half square triangles) Which I had never attempted before and heard of a scant 1/4 inch seam for the very first time. I completed my block before hearing about this little tip unfortunately but hey I like the little block warts and all. If you wanted to take part in a sew along I would say this is a good one to try, the instructions are very detailed and easy to follow I can only imagine how much work Pat put in to it. The cherry on the icing (yes there is more!) comes in the form of her sew along facebook group, it is huge yet everyone is just so lovely which can be unfortunately so rare. Not only do you get lots of inspiration from every ones quilts you also get a sneak peek at sewing rooms, advice and very beautiful scenic views- boy there is a huge amount of snow in some places at the minute! If you liked the sound of the sew along you can get more information Here.